If you are planning on having a large event, you may be considering setting up a buffet. A buffet is a fantastic way to feed your guests at any party, but there are certain considerations you should make before jumping in. This is a very convenient way to serve food, but if it isn’t done well, it can fall short of your expectations. Fortunately, as professional caterers ourselves, we know the ins and outs of buffets well. 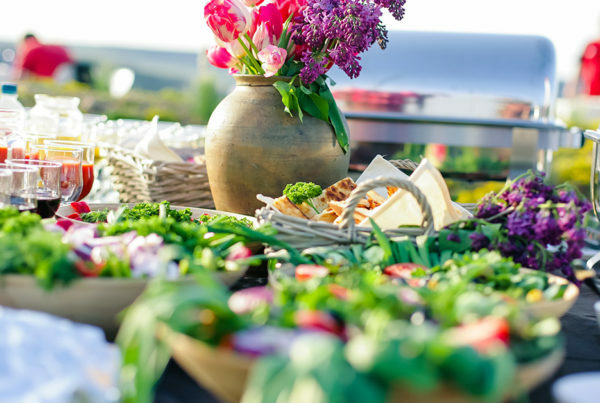 In this blog, we will go over some things to consider when you are setting up a buffet for your next event. First of all, the success of your buffet is dependent on the food you choose to serve. Spaghetti and meatballs may be a delicious meal, but it is not easy for people to serve those long, stringy noodles in a buffet setting. Think about how easily people will be able to pick up and portion food for themselves. If serving pasta, go with smaller, easier to serve noodles. In appetizers and small bites, consider using toothpicks to give people an easy way to grab them. Also consider how you will serve these foods. Tongs and large spoons encourage people to take larger portions, so reserve these for foods you have a lot of instead of the foods that will go quickly. Also make sure that your menu accommodates any dietary concerns; it’s easy to provide a few options that are vegetarian and gluten free, for example. Finally, make sure your menu is balanced; you don’t want to serve exclusively meats, for instance. A good rule of thumb is to have plenty of vegetables, a good amount of starches, and enough protein for everyone to have a manageable portion. When setting up your buffet table, the most important thing to consider is the flow of your guests. In general, people like to clump together in packs, which is great for socializing, but not so much for serving food in an organized manner. 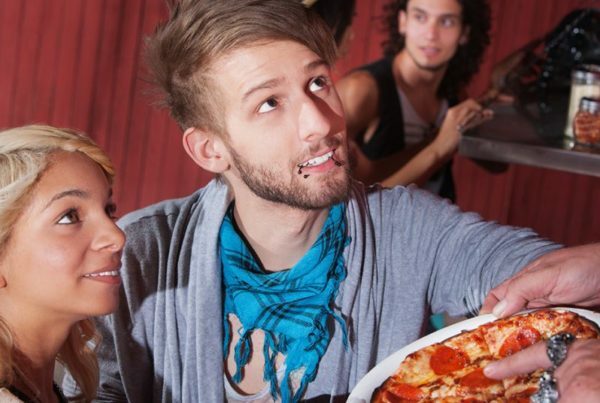 It’s common for people to grab food at a party and stand in circles too close to the table, not realizing that they are blocking the flow of foot traffic. Anticipate this problem when you are setting up your buffet. Set a clear starting and ending point, and make sure there is a lot of extra room on each side for the people who will inevitably crowd around the table. Make it very obvious how guests are intended to flow through the buffet, and try to set up destinations such as tall tables that will attract people after they get their food. It is also wise to give some space in the buffet line to set down their plates if they need access to both their hands. This is especially important if you will have older guests or guests with canes or walkers. Finally, you may consider making both sides of the table accessible so you have two lines moving. If you choose to go this route, be prepared and have two sets of serving utensils, and keep in mind that you will have to bring out any extra food quicker. 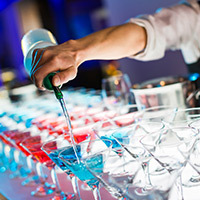 Too often during large events, the drink and food tables are immediately next to each other, causing some serious congestion on one side of the room. 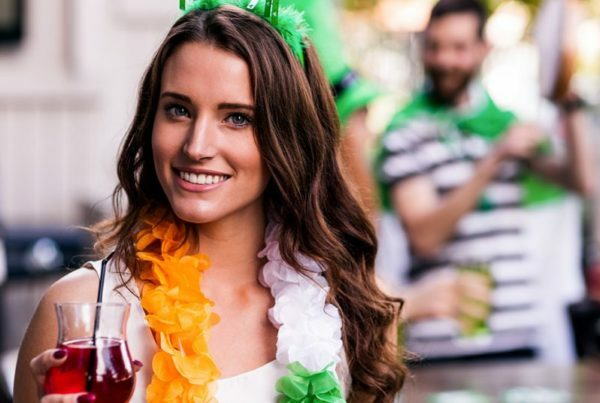 The drink table should be completely separate from food, especially if you are serving coffee or tea, for which you will need a station where people can add their cream and sugar. Ideally, it will be set up so that people can seamlessly refill their water glasses without having to struggle with the buffet traffic. Additionally, it should be set up near the kitchen, as those carafes of coffee and jugs of water can be quite heavy and are prone to accidents. Finally, make sure that your drinks table always looks presentable. This station is prone to spills and little piles of trash like sugar packets and coffee stirrers, so be diligent about swinging by every once and awhile to wipe it down and tidy up a bit. Where you place the plates and cutlery will make a difference in how efficiently your buffet will run. The plates should be at the beginning of the line, and the cutlery should be at the end. If you put the cutlery at the beginning, people will have to juggle them with their plates while they serve themselves, slowing down your line. Don’t make them carry anything but plates and maybe napkins as they put food on their plates to ensure maximum efficiency. You can make your job a lot easier by giving people ample opportunities to access different things they need, such as napkins, cups, plates, and trash cans. Put napkins at the beginning and end of the buffet and on the drinks table, and make sure there is a trash can placed beside each table, particularly if you are using disposable plates. Make sure that your guests can help themselves to save you the trouble so you can focus on the event itself. 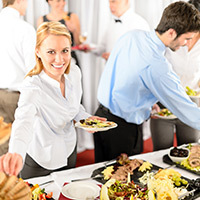 An old catering tip: put your more plentiful and less expensive types of food at the beginning of the buffet, and place the less available and more expensive foods at the end. People tend to fill up their plates immediately, and then take less of whatever is at the end of the line. You can watch through the party and see what food is really popular and what you have a hard time getting people to eat. If people aren’t picking up something you have a lot of, try moving it closer to the beginning of the line and see if they bite. When you are serving food in a buffet, it is important to invest in the right catering equipment. It is particularly important to consider catering equipment when you are serving food that needs to be kept warm. Hot food is not only more appetizing, it is also a safety concern, so keeping your food at the proper temperature is of the utmost importance. Fortunately, the WindBlocker is here! Our innovative chafing stand allows you to serve food in a chafer and have no trouble keeping food consistently warm throughout the pan. This is because of our unique four-sided design, which keeps heat in and keeps the elements out, so even if your event is outdoors, you don’t have to worry about the flame burning out. Before you set up the buffet at your next event, make sure you have the chafing stands you need to ensure food stays warm. Try the WindBlocker today!